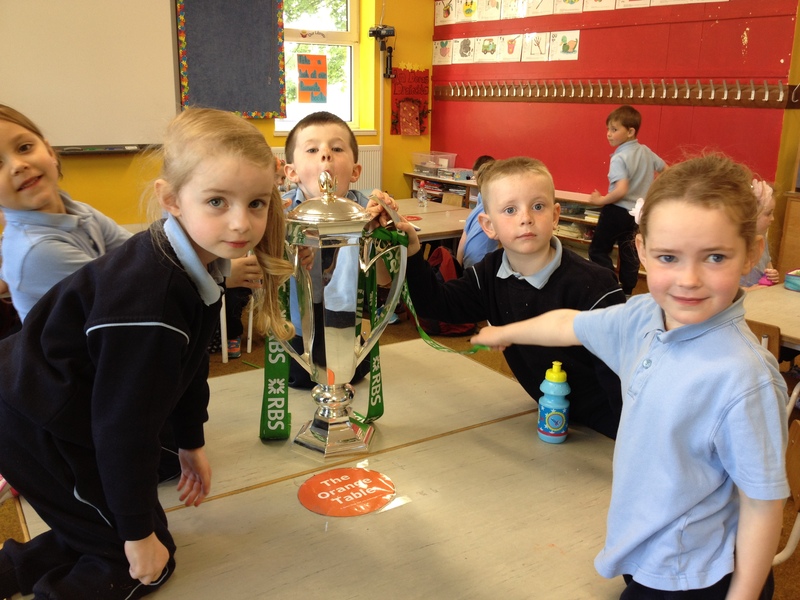 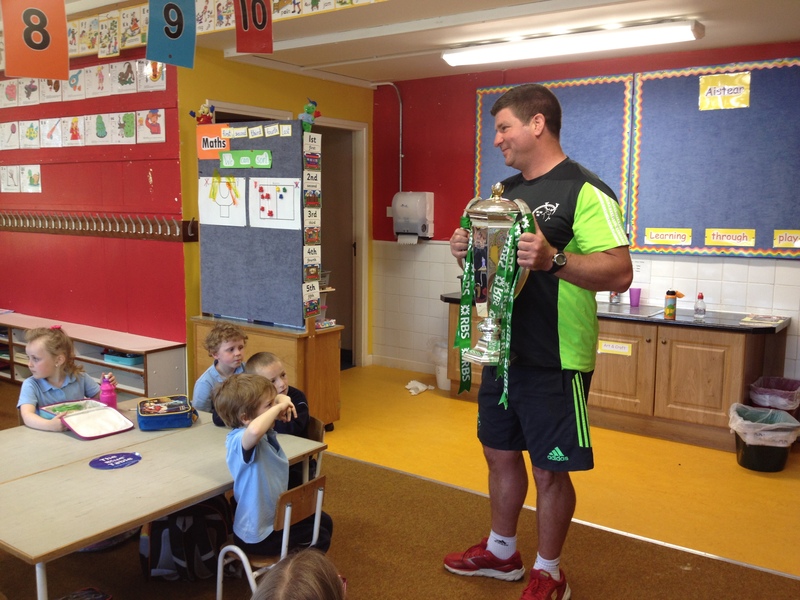 There was great excitement recently when the Six Nations Cup was brought to the Junior Infant classroom. 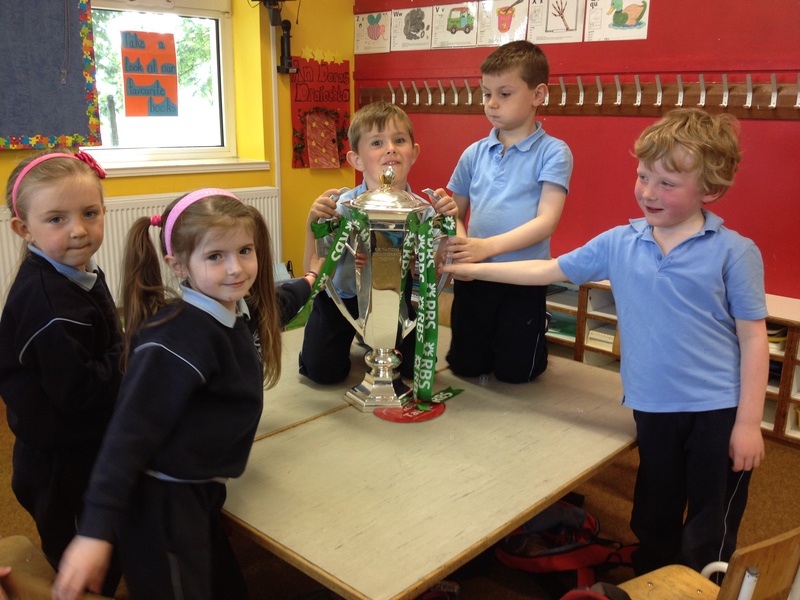 We watched some highlights from the tournament and sang Ireland’s Call while we were waiting for it to arrive. 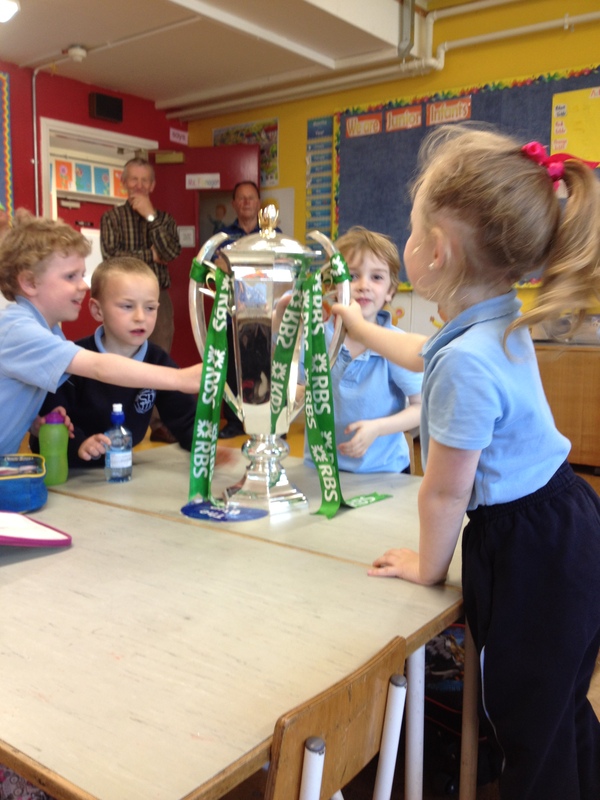 Everybody got a chance to see and touch this famous cup. 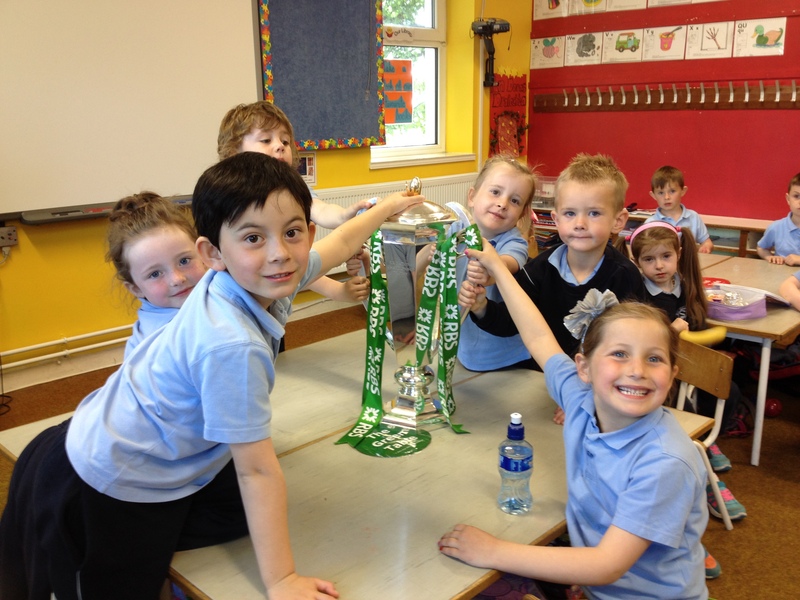 See the pictures below.